David Scrimgeour, formerly the Scottish Government's investment representative in Germany and Austria, is the founder of the British-German Business Network. The beer was flowing, the pork knuckles crackling and the volume rising at the Augustiner Klosterwirt in the shadow of Munich’s cathedral. The occasion was a get-together with local Scots on the first evening of last month’s Scottish trade mission to the Bavarian capital. Over the following three days, the 20 delegates experienced a series of meetings and events organised around the theme of “mobility”. The mission was hailed a success by the companies, so what did we learn and how can this be applied to help generate business with Germany? The Bavaria Scotland Partnership agreement was signed in Edinburgh last year on the occasion of a trade delegation to Scotland I organised for the Bavarian Government. It promised cooperation between companies, universities and economic development agencies. The onus is on Scottish organisations to be proactive and engage with this dynamic partner region, which has an economy and population almost three times that of Scotland. Motivation to take those first steps is key and the companies on the mission to Munich had that in spades. Each had already been active in Germany and some had German customers. This was impressive as these were relatively small enterprises. Any new market development requires research to understand opportunities and potential pitfalls – and the German market offers plenty of both. “Research by doing” is by far the best option and Machines with Vision, an Edinburgh-based computer vision and robotics specialist that participated in the mission, had already gathered valuable contacts and experience from repeated visits to Europe’s biggest market. Winning a major client was the result of a successful pitch in Berlin for a three-month proof of concept project. Trade missions can be a very effective way to access a new market, but expectations need to be managed. British companies often expect to get 1:1 meetings with German companies from which sales will immediately result. In fact, to get a formal meeting is incredibly difficult, particularly with a large corporate like BMW or Siemens. Instead, we invited the relevant Siemens contact to one of our dinners and made sure that every Scottish delegate had the chance to talk to him. For BMW, the format was a presentation by the head of future mobility followed by a discussion, including on how to get into business with this leading automotive manufacturer. Equally important is following up on all initial contacts made. This is also a point of business culture: “We will send you further information today” is understood by Germans to mean exactly that. It is important to understand that, in a mature market, there is usually no need to look abroad for products and services, and so foreign suppliers have to show their commitment from day one. So, led by Edinburgh-based Envisage Space, the firms from the Munich mission are developing a joint strategy. The plan is to pitch to our Bavarian partners a proposal for a business cooperation that involves Scotland’s fast-growing space industry. The main learning for me from this mission was that business-development in a huge market like Germany can only succeed with a Team Scotland effort. It was fascinating to see how the group dynamic developed. Although the theme “mobility” is specialised, most delegates did not know each other at the outset. In fact, a couple of them live a few hundred yards apart in a small village and had not met! For the Bavarian hosts, the experience was also positive and all were impressed with the portfolio of technologies and applications on offer from Scotland. Plans are already afoot for a return visit to Scotland later this year focusing on the creative and design industries. It will another chance to show the Bavarians our dynamic SME sector and, after hours, some good old-fashioned Scottish hospitality. 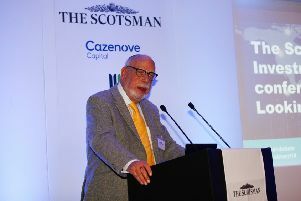 David Scrimgeour, formerly the Scottish Government’s investment representative in Germany and Austria, is the founder of the British-German Business Network.